Aretha Louise Franklin (March 25, 1942 – August 16, 2018) was an American singer, songwriter and pianist. She began her career as a child singing gospel at New Bethel Baptist Church in Detroit, Michigan, where her father, C. L. Franklin, was minister. In 1960, at the age of 18, she embarked on a secular career, recording for Columbia Records but achieving only modest success. 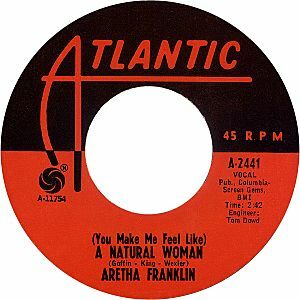 After signing to Atlantic Records in 1967, Franklin achieved commercial acclaim and success with songs such as "Respect", "(You Make Me Feel Like) A Natural Woman", "Spanish Harlem" and "Think". 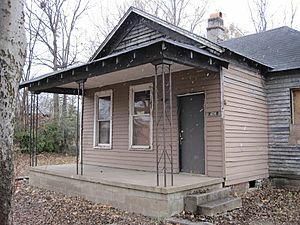 Aretha Massacorale Franklin was born at a two-room house in Memphis located at 406 Lucy St. She was the third of four children born to Barbara (née Siggers) and C.L. Franklin and the fifth of six overall in between past relationships by her parents. Franklin's family moved to Buffalo, when Franklin was two, and then by four, had settled in Detroit. Following the move to Detroit, Franklin's parents, who had a troubled marriage, split. Due to her father's work as a Baptist minister, Franklin was primarily raised by her grandmother, Rachel. 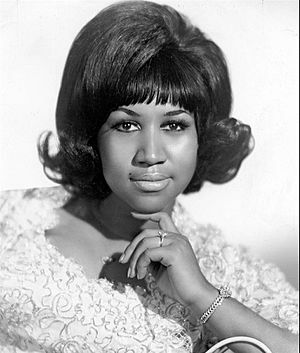 Franklin suffered a tragedy when her mother died in Buffalo when Aretha was ten. Franklin sang in church at an early age and learned how to play piano by ear. 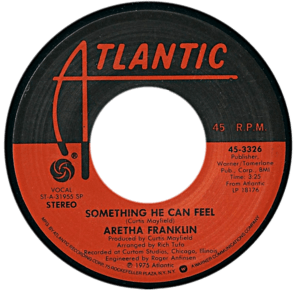 By her late preteens, Franklin was regularly singing solo numbers in her father's New Bethel Baptist Church. Franklin's father, C.L. (short for Clarence LaVaughn), was a respected and popular preacher. Franklin grew up with local and national celebrities hanging out at her father's home including gospel greats Albertina Walker and her group The Caravans, Mahalia Jackson and Clara Ward, three women who played a pivotal role in her vocal development as a child. Franklin is one of the most honored artists by the Grammy Awards, with 18 competitive Grammys and two honorary Grammys. She had 20 #1 singles on the Billboard R&B Singles Chart and two #1 hits on the Billboard Hot 100: "Respect" (1967) and "I Knew You Were Waiting (For Me)" (1987), a duet with George Michael. Since 1961, she had a total of 45 Top 40 hits on the Billboard Hot 100. She also had 14 singles that sold more than one million – more than any other female artist. 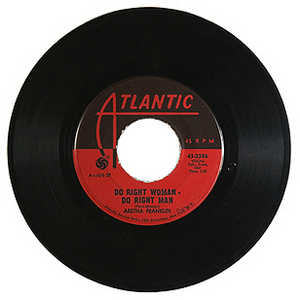 Between 1967 and 1982 she had 10 #1 R&B albums – more than any other female artist. 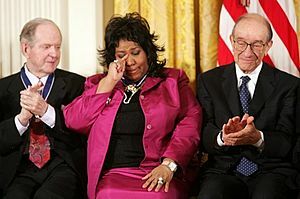 Rolling Stone magazine ranked her at top of its list "The Greatest Singers of All Time" In 2005, she was awarded The Presidential Medal of Freedom by President George W. Bush. On February 6, 2006, she performed, along with Aaron Neville, "The Star-Spangled Banner" at Super Bowl XL. The same year she got an honorary Doctor of Music degree by the Berklee College of Music.2010, Franklin received an Honorary Doctorate in Music from Yale University. In 1987, Franklin became the first female artist to be inducted into the Rock and Roll Hall of Fame. She was the only featured singer at the 2009 presidential inauguration of Barack Obama. On August 13, 2018, Franklin was reported to be gravely ill at her home in Riverfront Towers, Detroit. She was reported to be under hospice care and surrounded by friends and family. Stevie Wonder, Jesse Jackson, and ex-husband Glynn Turman, among others, visited her on her deathbed. Franklin died at home on August 16, 2018, aged 76. The cause was reported to be advanced pancreatic cancer. Franklin became the second woman inducted to the UK Music Hall of Fame in 2005. She was the 2008 MusiCares Person of the Year, performing at the Grammys days later. Following news of Franklin's surgery and recovery in February 2011, the Grammys ceremony paid tribute to the singer with a medley of her classics performed by Christina Aguilera, Florence Welch, Jennifer Hudson, Martina McBride, and Yolanda Adams. That same year she was ranked 19th among the Billboard Hot 100 All-Time top artists, and ranked first on the Rolling Stone list of Greatest Singers of All Time. In 2013, she was again ranked first in Rolling Stone magazine's "100 Greatest Singers" list. Inducted to the GMA Gospel Music Hall of Fame in 2012, Franklin was described as "the voice of the civil rights movement, the voice of black America" and a "symbol of black equality". 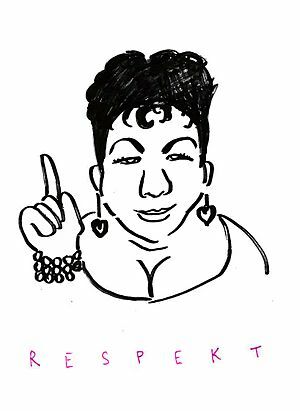 Asteroid 249516 Aretha was named in her honor in 2014. "American history wells up when Aretha sings", president Obama explained in response to her performance of "A Natural Woman" at the 2015 Kennedy Center Honors. "Nobody embodies more fully the connection between the African-American spiritual, the blues, R&B, rock and roll—the way that hardship and sorrow were transformed into something full of beauty and vitality and hope". On June 8, 2017, the City of Detroit honored Franklin's legacy by renaming a portion of Madison Street, between Brush and Witherell Streets, "Aretha Franklin Way". On January 29, 2018, The Oakland Press′s correspondent Gary Graff confirmed that the American Idol runner-up Jennifer Hudson will take the role to play Franklin in her coming biopic. The news was announced by the the film's executive producer Clive Davis, who made public their decision on the choice of actors casting in the film two days before Graff's article was published. An all-star tribute concert to Franklin, celebrating her music, is scheduled for November 14, 2018, at Madison Square Garden in New York City. Aretha Franklin Facts for Kids. Kiddle Encyclopedia.